LINTHICUM, MD, April 25, 2018 — NFM Lending is proud to announce they ranked in the Top 100 Mortgage Companies in America for 2017 by Mortgage Executive Magazine. This is the third consecutive year NFM Lending has received this recognition. Each year, Mortgage Executive Magazine compiles a list of the nation’s top 100 mortgage companies and publicly traded banks by their total yearly mortgage volume. NFM Lending ranked 69th on the list, with a mortgage volume of $1,518,339,277 and 6,304 loans closed. 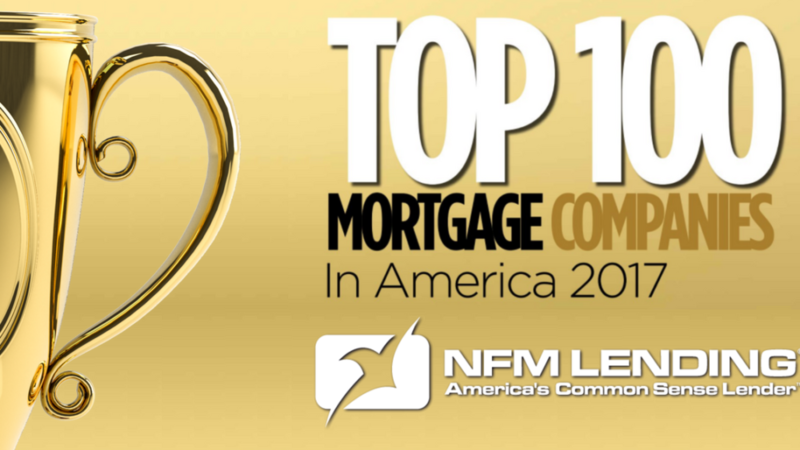 NFM Lending was recognized in the Top 100 Mortgage Companies in America in 2013, 2015 and 2016. In the last year, NFM Lending was named one of Mortgage Executive Magazine’s Top 50 Best Companies to Work For, as well as Top Work Places by both the Washington Post and the Baltimore Sun. It was also named a Top Mortgage Employer by National Mortgage Professional Magazine for the third straight year. 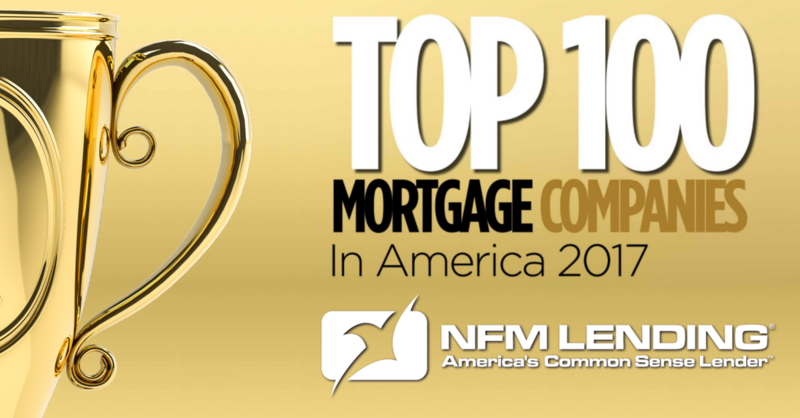 NFM Lending is proud of these accomplishments and looks forward to another successful year.